We’ve all been guilty of this. We are on the road away from home and we go into “vacation mode”. All of our routines go out the window, and that includes our fitness goals. All we want to do is over-indulge in laziness. We get back home and have to struggle to get back into the workout and healthy living mindset. However, we don’t have to do that. You may have noticed that I keep saying “we”. I too struggle with staying on track. Never fear I have compiled a list of helpful tools to keep “us” on track. You might not have the time or the equipment to do everything you would like to do. Don’t let that stop you. Keep it simple. Stretch to warm up your muscles. 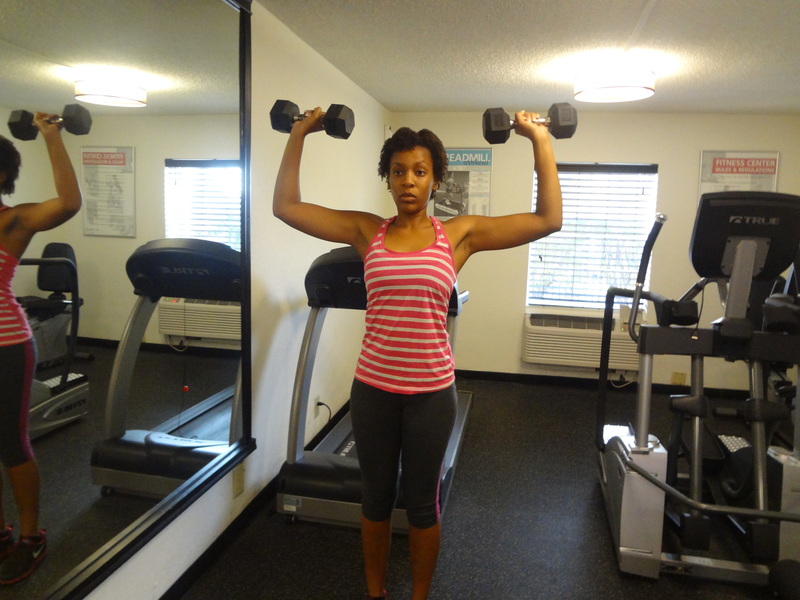 You can start with basic arm workouts, no equipment needed. 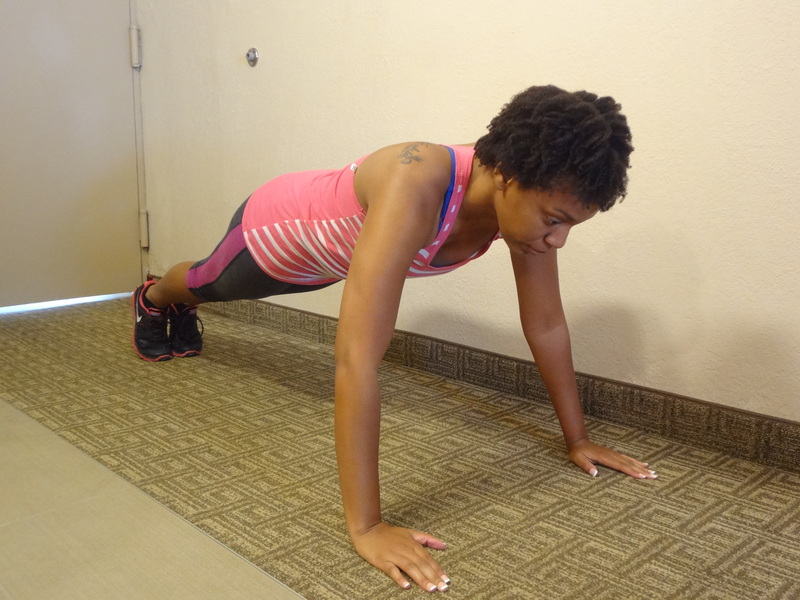 Push-ups are a tried and true way to hit your triceps, biceps and chest muscles. 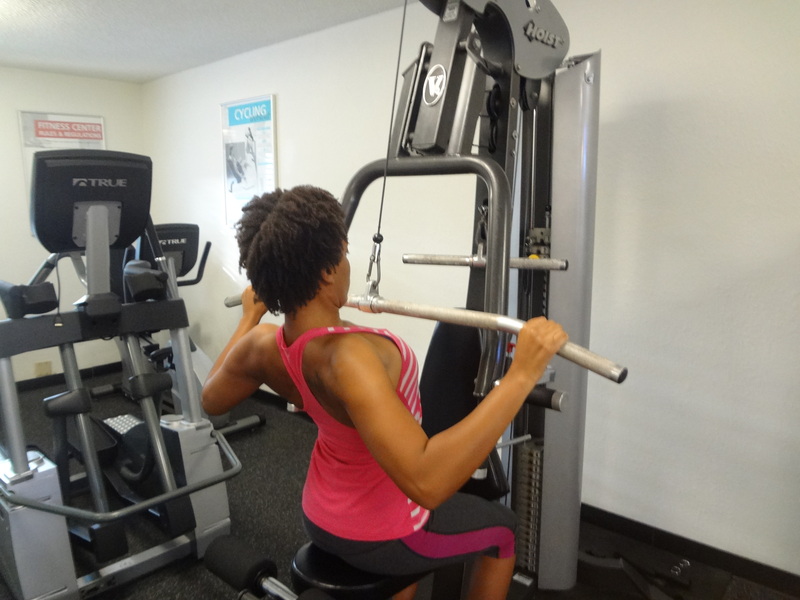 If you know your max number of reps (repetitions) you can do sets working up to that. Or you can do several max out sets. If you happen to have workout bands you can use those in various ways to get a good upper body workout. Don’t let the lack of space be an excuse not to workout your legs. If you’ve spent a lot of time cramped up while driving or flying, getting the blood pumping through your legs might be a good idea. If you are lacking space you can always do body weight squats. These usually require a high number of reps to really work the muscles so you might want to consider maxing out on your reps. Lunges are also a good exercise. You can do them in place just like squats. Adding ankle weights can be a great way to add some resistance to your leg workouts if you’re lacking equipment. Don’t forget your waistline. Most abdominal workouts are typically done without machines anyway, so you should definitely be capable of hitting those abs. 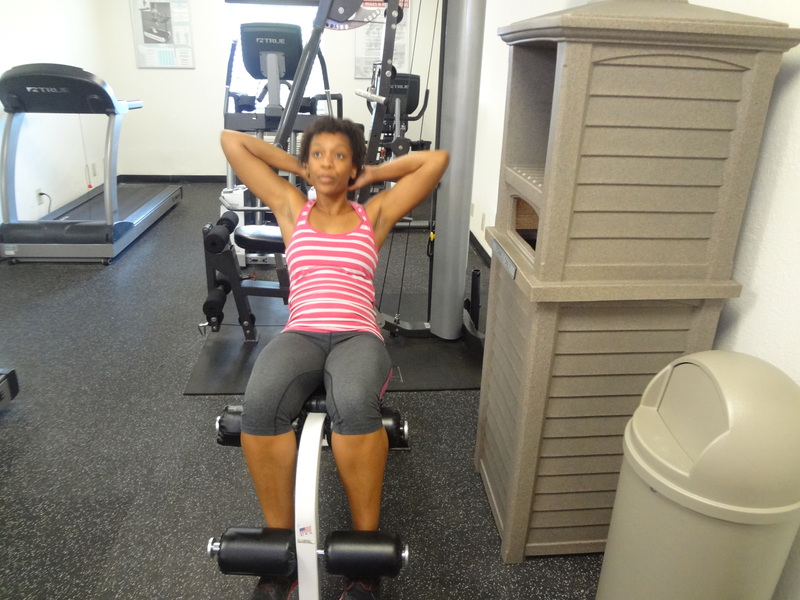 Wall sits (or wall squats) work your abdominal muscles and your legs. 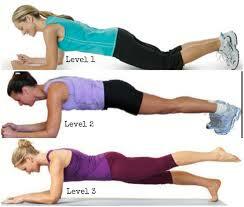 You can also do planks which are simple to perform but you determine the level of intensity. Set your stopwatch on your phone and do a few sets. Now if you’re staying at a hotel that allows access to its guests then I highly recommend you stop in. Most hotel gyms have the bare minimum when it comes to the equipment they provide. However, that simply means you have to put on your thinking caps and figure out some workouts or pull out your phone and Google it! Of course if none of these exercises suit you, then you can always find a runners path and go for a jog or a long walk. If the hotel has a pool then consider swimming a few laps to get in your exercise. I hope you keep this article in mind the next time you are away from home. Always keep your physical fitness in mind when traveling. Thanks for reading. To keep track of my fitness related stuff visit my Instagram page, Colormyfootsteps. What’s In My Bag – My Must Haves On The Go! A smile from me to you. 😊 http://smilebac.com Let me make you smile. I am glad you enjoyed it. Thanks for reading! post. It was actually helpful. Continue posting!